With today’s convenience, it is easy to grab quick, cold sandwiches from convenient stores or fast food chains. However, it is never as satisfying than a bowl of warm meal, especially on a cold, rainy day. While there has are some hot sandwiches available, there is nothing made from the local Malaysian flavours. Think of hot sandwiches, but not the usual club sandwich or pulled cheese. Instead, salivate at sandwiches incorporating Asian flavours like kam heong, black pepper, marmite, salted egg. Hence, the idea of “Hot Asian Sandwiches” came about at the Good Blue Men cafe. 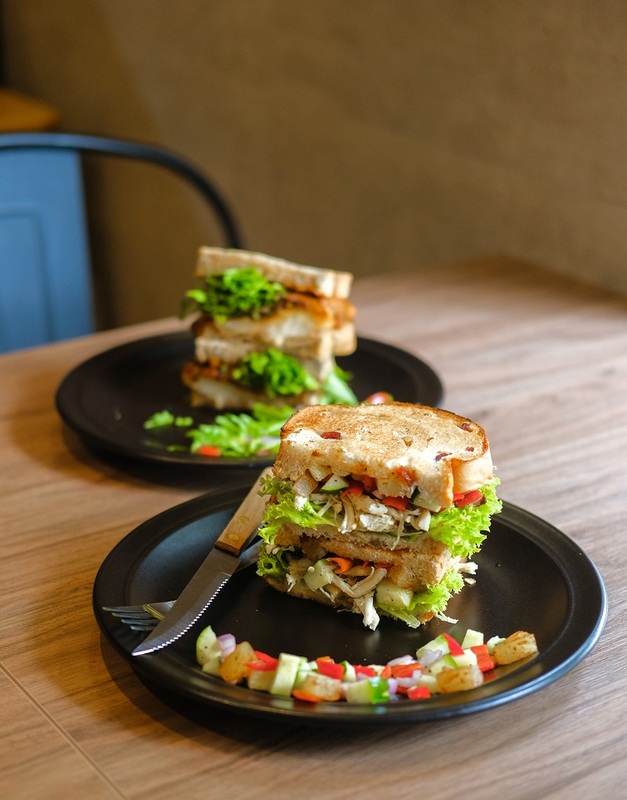 Back in August 2017, the founders started with an idea to satisfy the Malaysian craving for sandwiches. Not just any sandwich, but hot Asian sandwiches. This resulted in the Good Blue Men cafe. The name is a play on a Cantonese phrase that reflects its founders’ mission to become better men. They specialise in Hot Asian Sandwiches & Coffee Mocktails. This includes their Kam Heong Chicken Sandwich & Achar Chicken Sandwich. 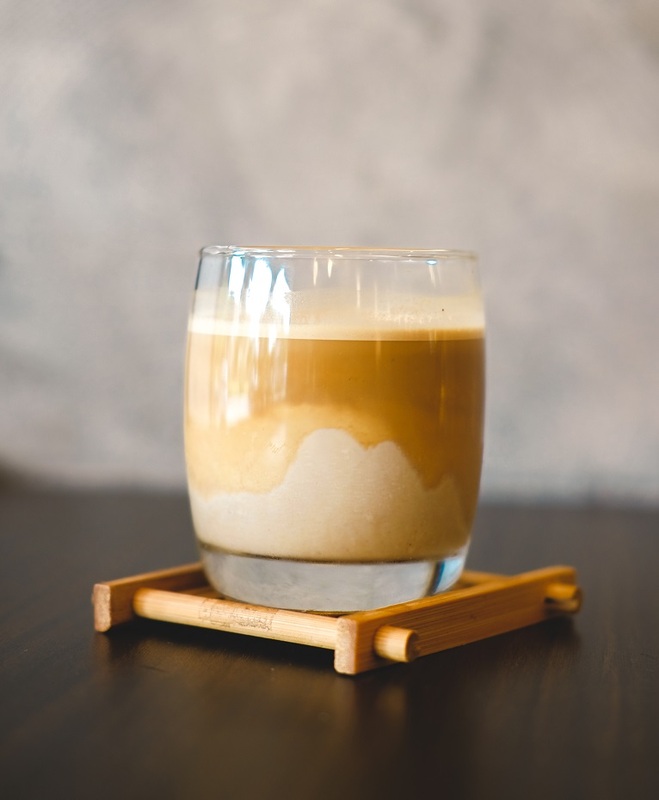 Coffee mocktails include Espresso Mojito, Matcha Tiramisu Shake & Blood Black. In addition, they do serve staple café food like chicken chop, pastas and rice bowls. 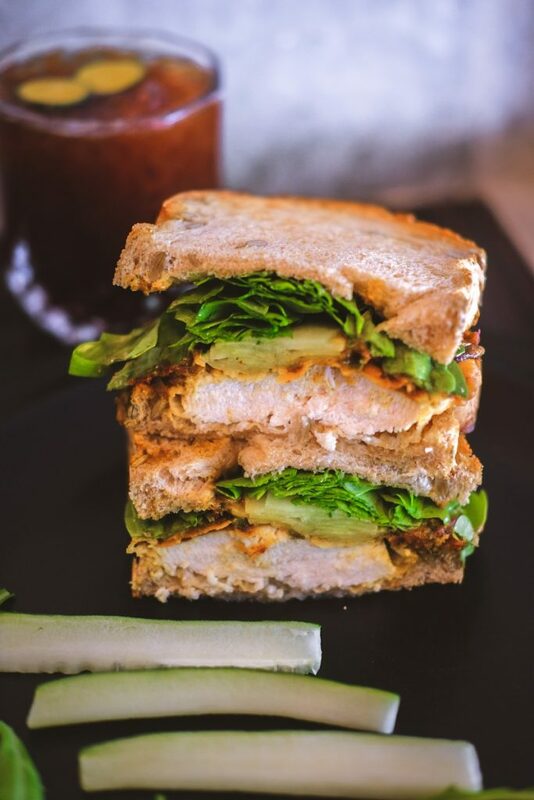 Kam Heong Chicken Sandwich – Homemade kam heong sauce with 13 herbs & spices, chicken breast, arugula, Japanese cucumber and homemade oregano toast. Where else can you find a Kam Heong sandwich? 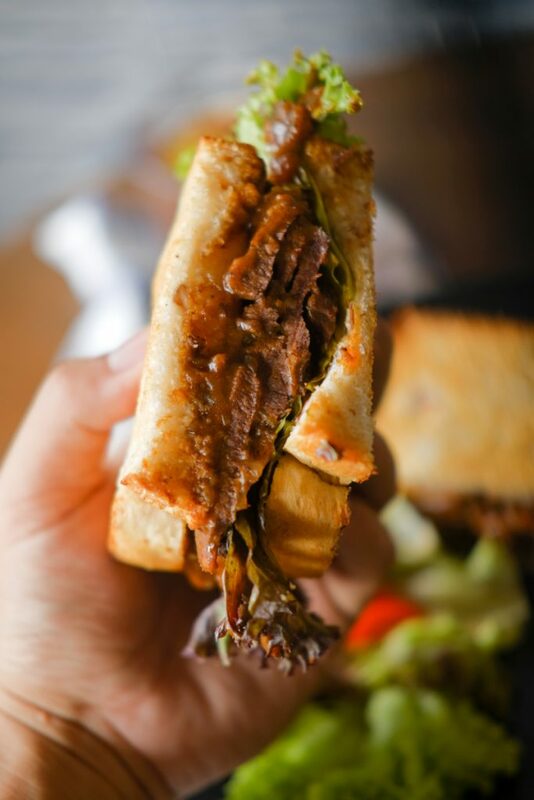 Beef Pineapple Sandwich – Slow cooked beef sauce, pulled beef, pickles, jalapenos, pineapples, cranberry toast. Achar Chicken Sandwich – Secret achar sauce, pulled chicken, caramelized pineapple in spices, cranberry toast. Cheezy Meltdown – 3 types of cheese, sautéed mushrooms, hashbrown, tomatoes, homemade traditional whitebread. Espresso Mojito – Lime juice concoction, Orange juice, mint syrup and coffee. Super refreshing, zesty & hints of coffee. Blood Black – Pomegranate juice, lime juice, cola, double espresso. A heavily caffeinated mix for stressed people. Matcha Tiramisu Shake – Green tea, tiramisu & coffee. Best of 3 worlds. Mint To Be – Bitter iced coffee and freshly whipped mint cream. Simple, sweet yet bitter. The team comprises of two founders and an investor. The founders are Ryan Fong & E.Y. Shum. Ryan was from finance background and used to run a café back then. He currently handles the kitchen. Shum was meddling between IT, advertising & FB for the past few years. Furthermore, he was also involved in a few coffee competitions. While they believe that their place is well-suited for all cafe goers, if you are an avid fan of Kam Heong or Asian sauces, be sure to not miss out on this! Within 6 months of their opening, they have had a notable media coverage. This includes Focus Malaysia, The Star Metro, NTV7 Living Delight, Oriental Daily News Malaysia, and Newtide Magazine (Nanyang press). In the near term, they want to expand Good Blue Men Cafe. Furthermore, they hope the novelty and idea of “Hot Asian Sandwiches” will reach out to a larger audience in Malaysia.